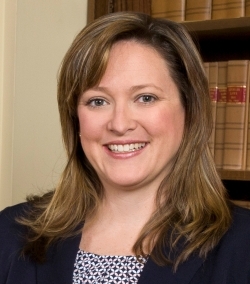 GAINESVILLE, Ga. (March 6, 2015) – Brook A. Davidson has joined Stewart Melvin & Frost’s growing probate litigation practice. Davidson will work with clients to develop estate plans while providing representation through the probate, administration, guardianship and conservatorship process. She comes to Stewart Melvin & Frost after serving two years as Deputy Director, Chief Clerk and Hearing Officer for the Gwinnett County Probate Court. Earlier, Davidson was an attorney with Andrew, Merritt, Reilly & Smith in Lawrenceville, Ga., where she managed all phases of litigation from client intake to appeals in the firm’s probate and corporate litigation practices. Davidson has been recognized as a Georgia Super Lawyer Rising Star. A graduate of Brenau University in Gainesville, Brook earned her law degree from Georgia State University School of Law. She also is a graduate of the State Bar of Georgia’s Young Lawyers Division Leadership Academy. Active in the community, Brook is a member of the Brenau University Conflict Resolution and Legal Studies Advisory Board, the Gwinnett Suicide Prevention Coalition, Gwinnett Re-Entry Coalition and a member-at-large for the Chattahoochee District Committee of the Boys Scouts of America. Founded in 1936, Stewart Melvin & Frost is one of Northeast Georgia’s largest and fastest-growing law firms. The practice specializes in a broad range of key legal services, including business law, tax and estate planning, municipal bond financing, real estate transactions, litigation, and mediation services. Based in Gainesville, Stewart Melvin & Frost serves a regional client base throughout North Georgia. For more information, visit www.smf-law.com.